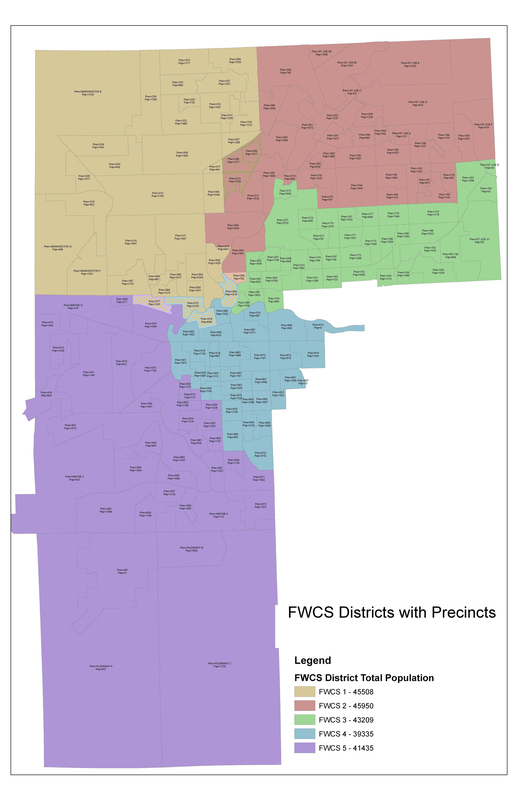 The FWCS Board of School Trustees is composed of seven elected citizens. Five members represent specific districts; the remaining two are elected at-large. Each member must be at least 21 years of age, be a registered voter in the represented district, and have been a resident in the school corporation for at least one year, and one year within the residence district. Board meetings are broadcast live at left, and on Comcast channel 54 and Frontier channel 24. Next School Board meeting: Monday, May 6, 2019 at 6 p.m. This email address should not be used for official communication. Email sent to this address is not private, and may be shared with other individuals. In general, the Board meets on the second and fourth Monday of every month. See calendar for exceptions. If the date is underlined, it is a link to the minutes of that meeting. Minutes become available shortly after they are approved at the next Board meeting. Minutes of all School Board meetings are published after they are approved by the board at the next regularly scheduled meeting. Since the Board meets biweekly, minutes are usually available two weeks after the meeting date. To find the minutes of a particular meeting not listed above, search for the six digit date of that meeting, like: 04262014 for the April 26, 2014 board meeting, or 05102014 to find the May 10, 2014 minutes.